Central Board of Secondary Education (CBSE) on Monday claimed that it has received unprecedented number of applications for verification of marks from the students of class XII. After verification of answer scripts for Class XII Examination 2017, the fact emerged that there was change in marks in 0.091% of answer scripts with only 0.002% cases where there was change in marks by 26 or more. It highlights that there is no pervasive totalling error as written in certain media reports earlier, read a press release issued by CBSE. Meanwhile, The Times of India’s recent report pointed out that a Delhi student, had scored a mere 68 in mathematics in her board examination and after re-verification of marks she scored 98 out of 100. 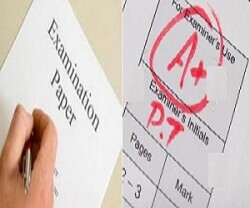 “The students should be confident of their scores. There could be instances where calculation error could have been made and hence stands a chance to be pardoned”, said Radhika Gulati, student, Salwan School, Delhi. While the CBSE board results were declared on May 28, only 2.47% students requested for verification of marks.